But Christopher’s childhood days are bound to come to an end. So what happens then? 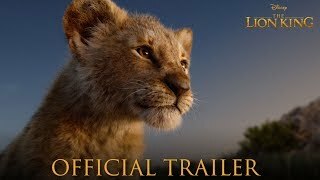 That’s the story of Christopher Robin, a charming fantasy comedy based on the beloved characters that were created by author AA Milne and illustrator EH Shepard almost a decade ago (inspired by the former’s own son and his toys). 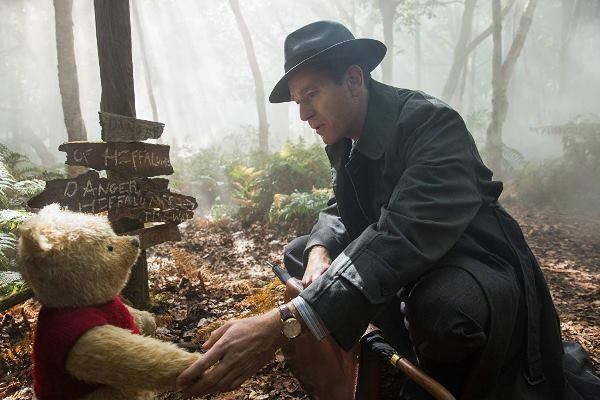 In Director Marc Forster’s new film, Christopher Robin (portrayed as a kid by Orton O’Brien) leaves his childhood friends behind as he grows up, trading the imaginative lands of the Hundred Acre Wood for a life full of responsibilities as an adult (Ewan McGregor) in London. He finds love when he meets Evelyn (Hayley Atwell); they get married and have a daughter, Madeline (Bronte Carmichael). After serving in the army during World War II, he returns home and takes a job at Winslow Luggages. His imagination, liveliness and playfulness are all but gone. Christopher is so consumed by the pressures and responsibilities of adulthood that he ends up ignoring his own family while trying to provide for them, unable to see the unhappiness his neglect is causing. That’s when an old friend comes along to remind him of what is really important in life. Winnie the Pooh (voiced by Jim Cummings) somehow stumbles from the Hundred Acre Wood to London. Unable to find his toy friends – Tigger (Cummings again), Eeyore (Brad Garrett), Piglet (Nick Mohammed), Rabbit (Peter Capaldi), Kanga (Sophie Okonedo), Roo (Sara Sheen), and Owl (Toby Jones) – Pooh travels through Christopher’s old door and ends up finding a grown-up Christopher who is shocked to suddenly see his old stuffed bear. 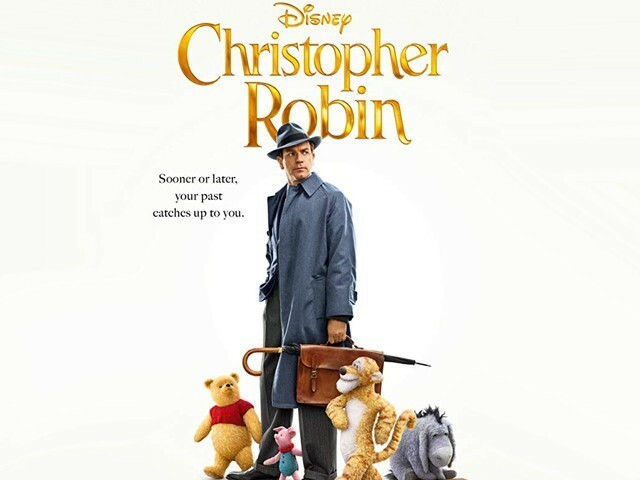 Christopher – who is busy with an important work deadline even on the weekend – decides to take Pooh back to Sussex, and then reluctantly agrees to help him find his friends, getting pulled into an adventure that will make him re-evaluate his priorities and figure out what is actually important to him. 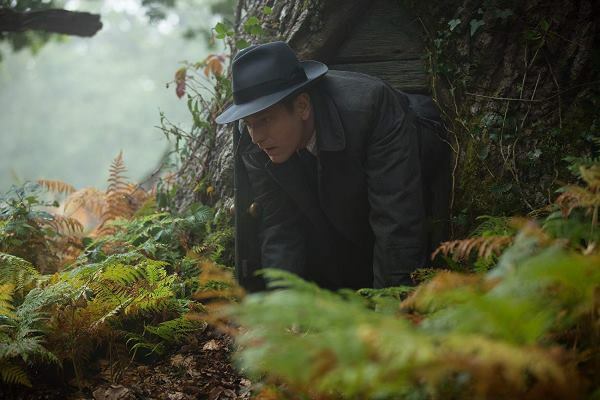 Christopher Robin gets off to a slow start and the charm of the Pooh tales is initially missing from the proceedings. It takes a while for things to really get going, and if you feel like giving up on the film in the first half hour or so, you really shouldn’t. 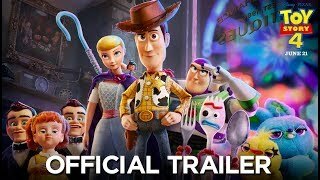 The movie will soon win you over and you’ll be rewarded with a sweet, warm adventure and a much needed reminder of the importance of love, family and old friends. This isn’t the most impressive project that has ever been inspired by the much loved characters, but after Pooh and company enter the story, it’s hard to deny the movie’s appeal or wipe a smile off your face. Both the live action and voice acting is impressive. McGregor is likeable in the lead role as is Atwell as the protagonist’s wife. And it’s great to hear the great Cummings retain his role as the voice of Pooh and Tigger. There’s wit, wisdom and a whole lot of nostalgia packed into this one and a half hour film. You’re likely to enjoy the movie more if the Pooh Bear tales hold any meaning for you. If you haven’t witnessed the magic of Pooh as a child, then none of the references – the Heffalumps and Woozles, Tigger’s song, and the beautiful Pooh themed tune – will mean anything, so part of the joy might be lost on you. 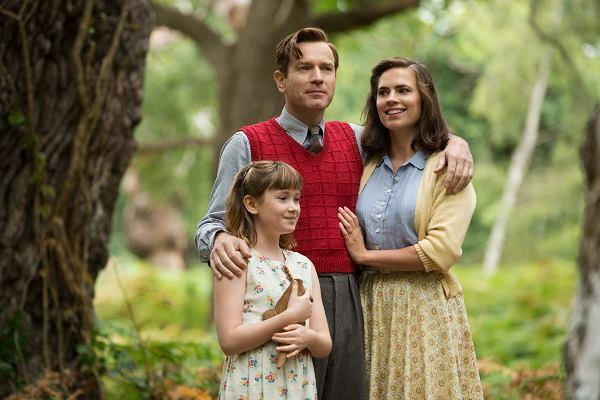 All in all, Christopher Robin is a pleasant, affectful comedy drama. 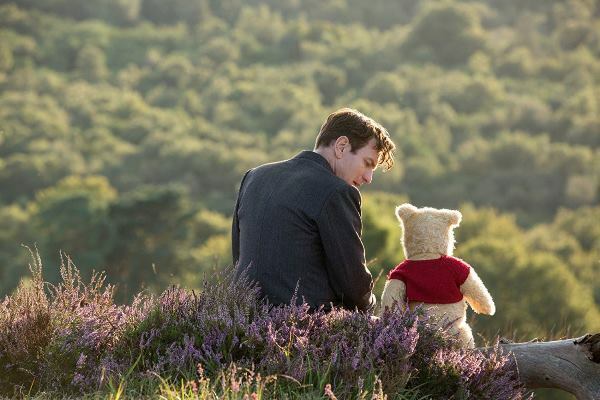 There’s a touch of Paddington and a bit of Toy Story thrown in there, and while Christopher Robin quite can’t compete with the emotional resonance of the former two projects, it still serves as a sweet, gentle delight.